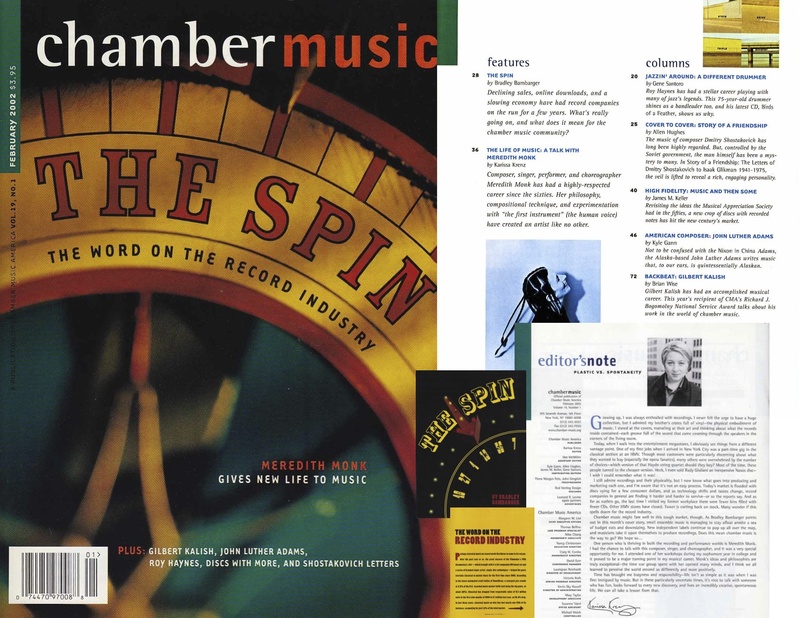 Selected samples of print and web publications, ranging from newsletters and press releases to commemorative publications and magazines. I edit the special Playbills for Lincoln Center’s critically-acclaimed White Light Festival. 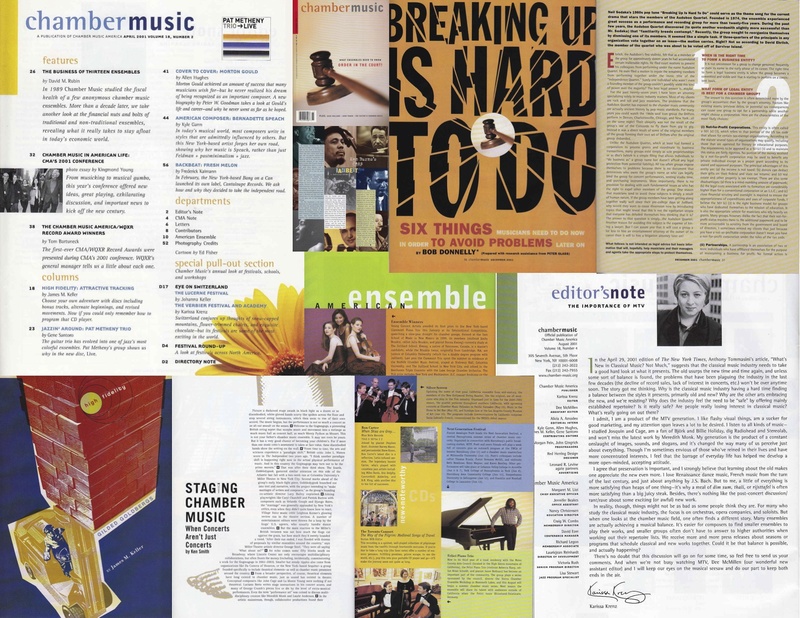 Read the the final, pre-press (without the ads) pdf of the most recent Playbill here, the 2016 edition here, 2015 here, 2014 here, 2013 here, 2012 here, 2011 here, and 2010’s here. 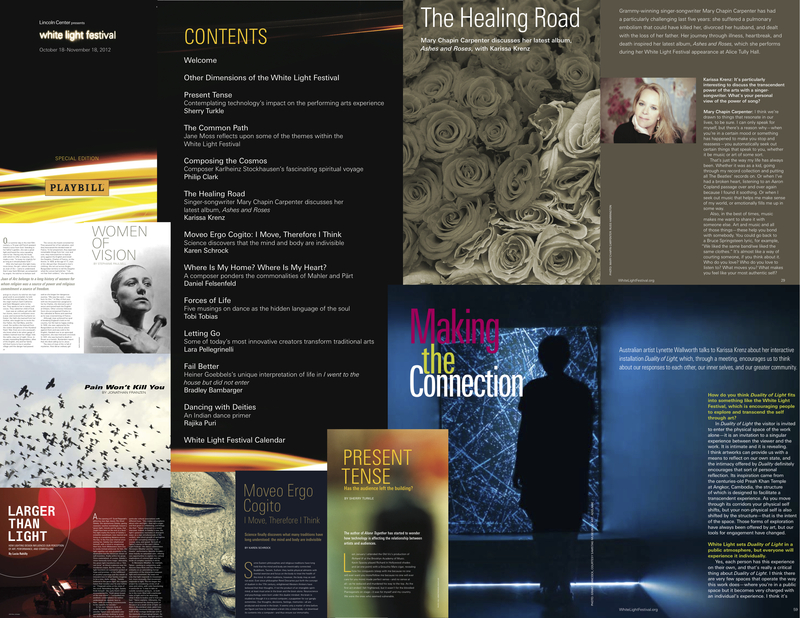 Keep an eye out for my interviews with Mary Chapin Carpenter, Meredith Monk, Kjartan Sveinsson (of Sigur Rós) and Alex Somers (of Jónsi and Alex), Akram Khan, and Lynette Wallworth — or visit my “Writer” page for direct links. I also edited Lincoln Center’s commemorative Playbill celebrating the 50th Anniversary of the popular Mostly Mozart Festival (in tandem with curating a special exhibition at New York Public Library for the Performing Arts), as well as another marking the opening of the renovated Alice Tully Hall. I edited four issues of RE:D, the alumni magazine for Parsons The New School for Design. Here’s my favorite, which featured the school’s Illustration Department. 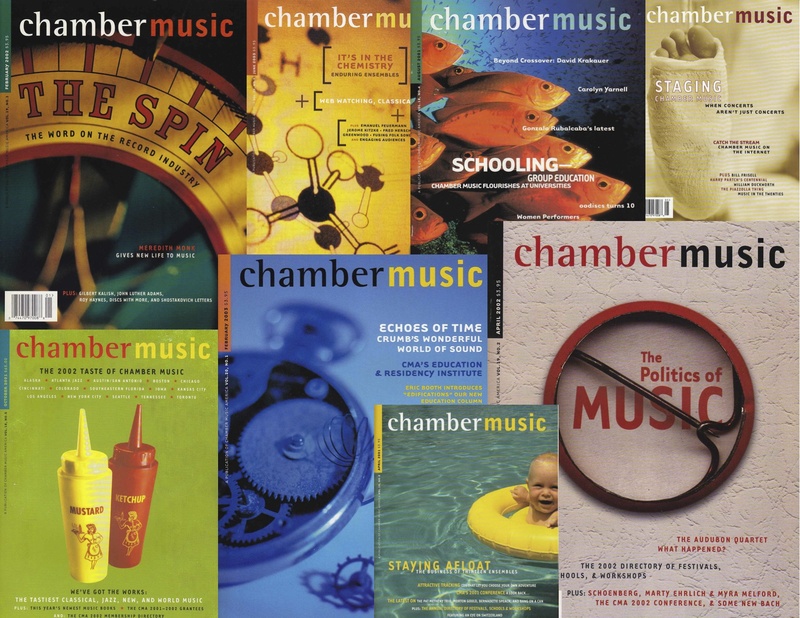 I was also Editor-In-Chief of Chamber Music magazine, for which I oversaw everything from concept to print. 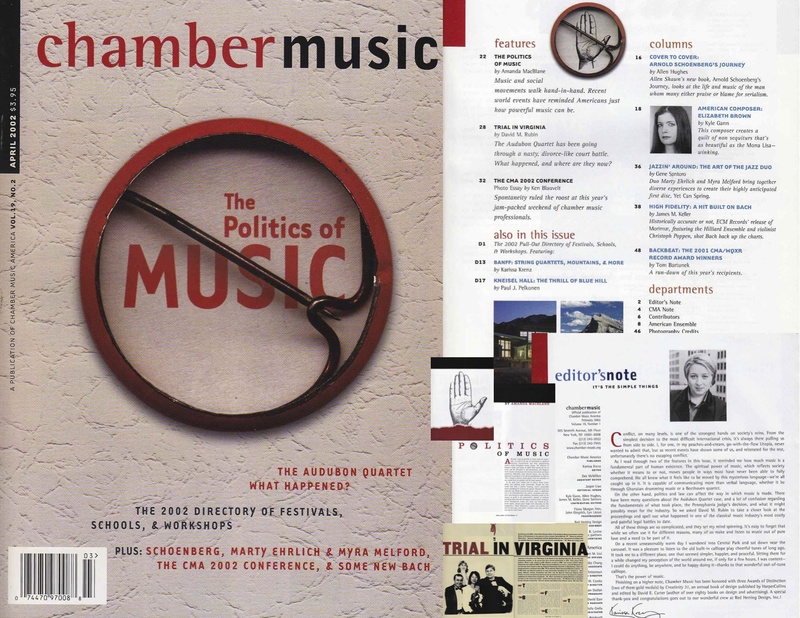 Feel free to view two of my favorite editorials, and my travel/entertainment articles on Switzerland’s Verbier Festival & Academy, Finland’s Kuhmo Chamber Music Festival, and Canada’s Banff International String Quartet Competition.